Sometimes we get a warning. You’ve been there; you know what I mean. You’re driving along a cold winter’s night, the heat cranked up in your car and your eyes growing heavy. Suddenly, the ripples on the side of the road wake you up. Adrenaline counteracts your tiredness. You correct to get the car back in the lane, then breathe a sigh of relief, very wide awake. We have the blessing of forgiveness. Therefore, we are called as a Church to be people of God, people whose lives reflect our commitment to the things of God. We are Christians because we heard the good news that God gave forgiveness when he could have given judgement. We understand the message means something for everyone, and we get to share it. 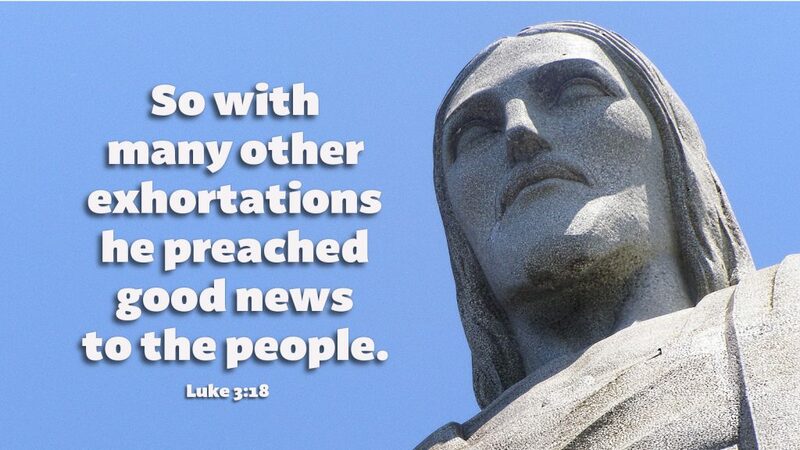 Let us heed John’s warning and embrace the good news of Jesus, our Lord and Savior. Prayer: Lord, keep me from looking out for myself, looking to you and to whom you are sending me. Amen. Thank you Pastor Dieter, Far too often we are that brood of vipers that John the Baptist called the Jews. We visit our church every Sunday and think of so many things irrelevant to the sermon. Or, like these Jews, we come running when we feel there is something that we have been missing. Our focus, our interest, needs to be Christ and Him alone. Our very being should only be to serve Christ and serve others.